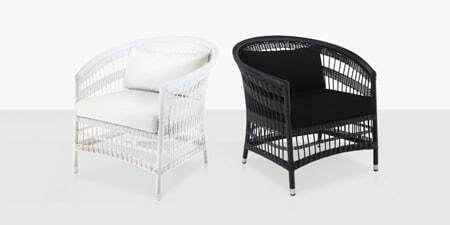 WICKER & ROPE DEEP SEATING— 27 STYLES! 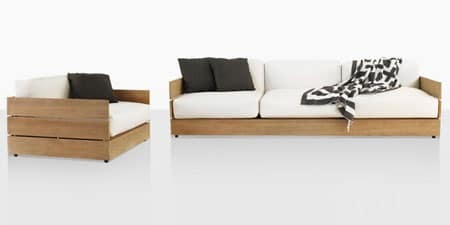 Teak Deep Seating— 14 STYLES! 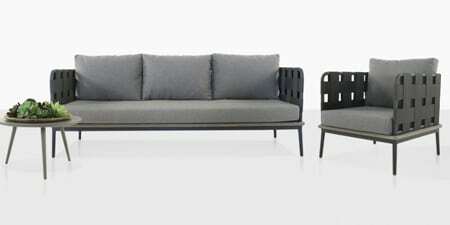 Aluminium Deep Seating— 14 STYLES! #316 Stainless Steel— 33 STYLES! 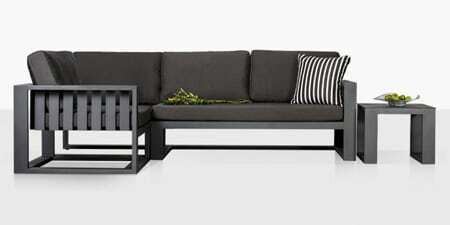 Design Warehouse is a high-end manufacturer of outdoor furniture located in Auckland, NZ. 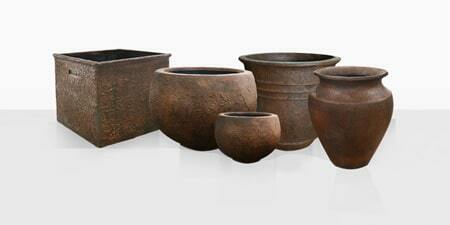 Selling directly to consumers in New Zealand at wholesale prices. We offer A-Grade Teak Furniture, Marine Grade Stainless Steel, Concrete, Batyline® Mesh, Sunbrella®, Reclaimed Teak, Viro® Outdoor Wicker and more. Design Warehouse is the premier provider of outdoor furniture including Grade-A teak, wicker outdoor furniture, stainless steel, outdoor concrete furniture and Batyline® mesh and an amazing selection of other high end outdoor furniture items. Positioned in the design market as one of the must see places in Parnell to visit and shop, Design Warehouse has become the destination of choice for so many architects, designers, commercial buyers and you, the private client. We deliver from our 7500 square metre (80,000 sq. ft.) warehouse fully assembled, finished and ready to use. Customers can pickup furniture at this location should they choose to. 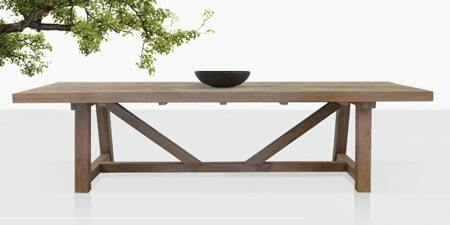 Our clients know us by the exceptional quality of our outdoor furniture and the wholesale prices. 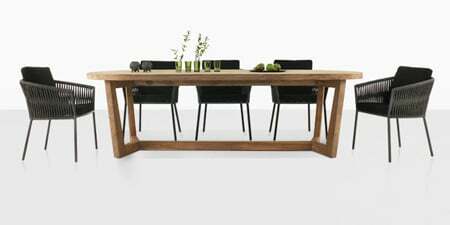 Design Warehouse has made its name supplying high-end teak furniture from Indonesia. 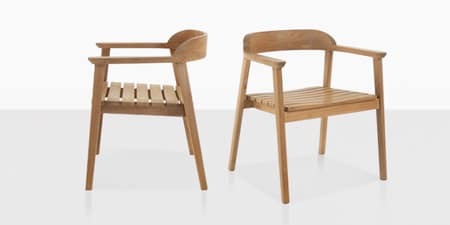 All the teak furniture offered by Design Warehouse is crafted in Central Java, where 500+ Javanese craftsmen produce incredible A-Grade teak furniture and wicker outdoor furniture, which is offered exclusively by Design Warehouse. Design Warehouse was established in 1992 and opened the new outdoor furniture showroom in Auckland in 2011, bringing a unique and fashion forward look at international designs and materials in outdoor furniture to the New Zealand Market. 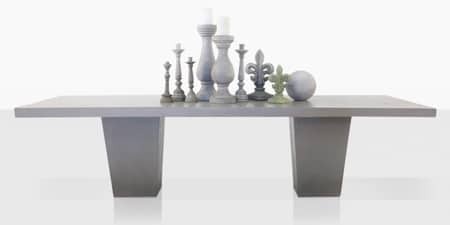 The range offered has firmly established Design Warehouse as the premier destination for those seeking the highest quality and best selection of outdoor furniture all at wholesale prices. A gorgeous place where you can find everything from a Trestle Table to Patio Umbrellas in a single spot, to simplify shopping for outdoor furniture in NZ. The well-connected and fully focused ownership team that heads the Design Warehouse, continually focuses on finding the best that the design world and material manufacturers have to offer, worldwide. This type of integration and focused work brings the best fabrics, materials, designs and trends Design Warehouse and the outdoor furniture industry. 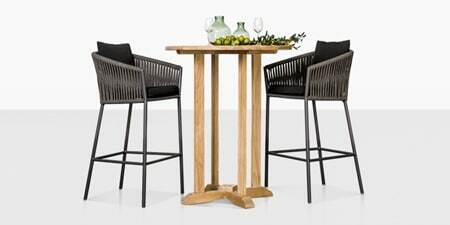 We offer our same outdoor furniture to Christchurch, Hamilton, Wellington, Queenstown, Tauranga etc. Our online showroom is purpose-built so you can get a realistic representation of the immaculate quality of our outdoor furniture. Our images are fantastic representations of what you can expect to receive. 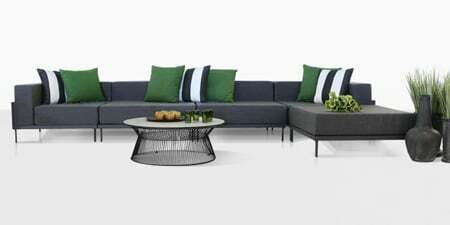 So, whether you’re in the South Island, the North Island, Christchurch, Wellington, Queenstown; anywhere in New Zealand, Australia or the Pacific Islands, we have a way for you to buy our exceptional outdoor furniture. 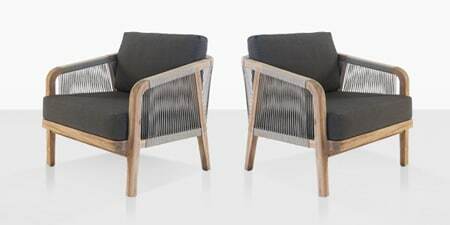 Teak Furniture for Australia and the Pacific Islands: our outdoor furniture, including teak outdoor furniture, concrete outdoor furniture and a host of other high quality materials is available to the entire region. We’ve got an expedited shipping process because we offer an in-stock now guarantee. You receive your furniture fully assembled, already quality checked and expertly finished when buying from Design Warehouse. You’ll receive gorgeous outdoor furniture that’s ready to use just like you see on our website. A quick call can get you the shipping and delivery information you need. Look to Design Warehouse for inspiration when designing your outdoor room, or while looking for special pieces for your special outdoor space. 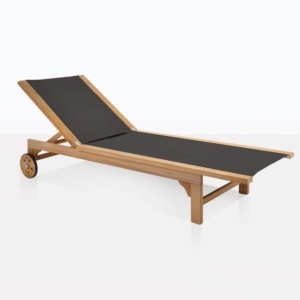 We invite you visit the showroom to find incredibly high quality teak outdoor furniture and other high end outdoor furniture pieces on our website or in person. Our sales team is excited to show you around our space. Our showroom is not to be missed; you can find us at 137-147 The Strand in Parnell/Auckland open 7 days 9:30am to 5:30pm in the Summer months and 9:30am to 4:30pm in the Winter months. 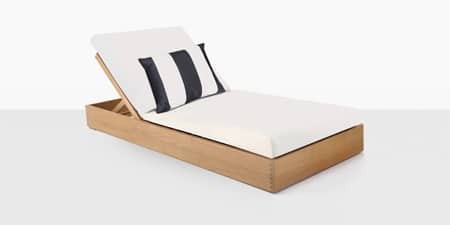 We use materials like these because they represent the highest level of quality and provide the best characteristics for our clients, who have come to expect the absolute pinnacle of design, manufacturing, assembly and versatility from our outdoor furniture. Briefly, 316 Marine Grade stainless steel is the highest grade that the furniture industry uses in commercial production, because it has weather resistance and stunning good looks, as well as being a far superior grade of stainless steel than many of our competitors. We won’t compromise on the details because we know you expect your outdoor furniture to last. Batyline® Mesh is a wonderful outdoor material that combines the best of elasticity, durability and amazing looks to give you a fade free and long lasting outdoor piece with characteristics that lesser materials just cannot match. 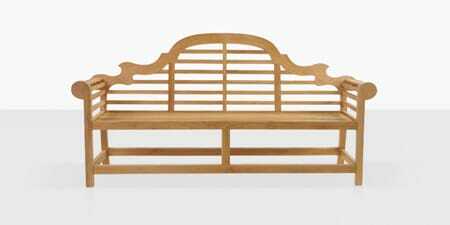 This French made material is a wonderful option for your outdoor furniture where applicable. 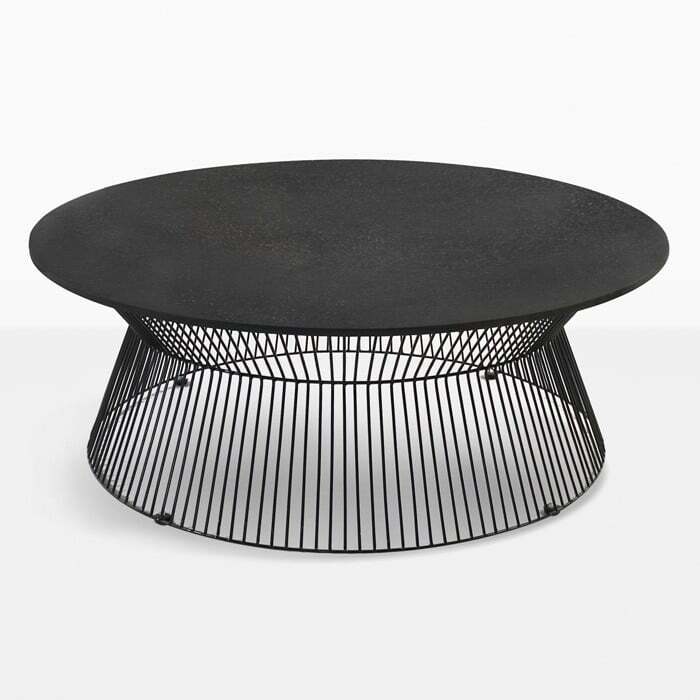 For concrete outdoor furniture in NZ, look no further than our impressive resin and concrete furniture, which takes the best quality of concrete and combines it with the lightweight and resilience of resin and composite fibers. 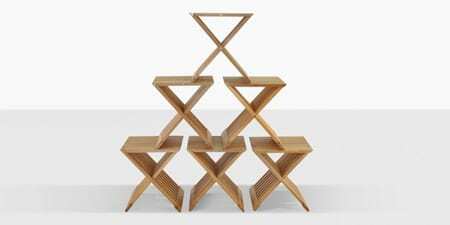 This ensures you have a great looking, tough and durable piece of furniture than can last a lifetime. 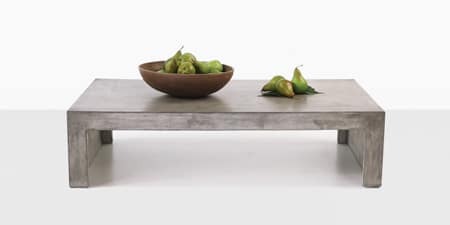 The weight savings on this concrete outdoor furniture is significant over similarly sized furniture made only from concrete. Sunbrella® fabrics offer a perfect complement to a large number of our outdoor furniture pieces for cushions and other fabric areas. The fade and rot resistance of Sunbrella® fabrics is just a small part of the benefit of this wonderful fabric. 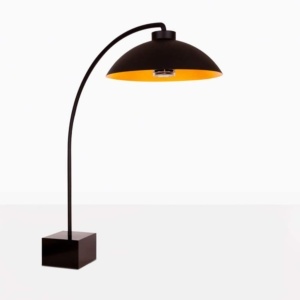 It offers excellent options in color and texture to complement the furniture in our showroom. 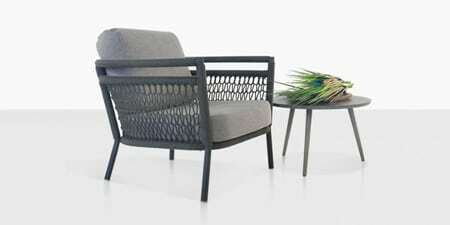 Viro®, Rehau® and Eco-Line® are outdoor wicker products which we use in our furniture. Viro®, for example is a superior quality outdoor wicker fiber which uses a polyethylene compound to create a fiber that looks amazing and has incredible characteristics for outdoor extremes. Rehau® and Eco-Line® have substantially similar characteristics. Lynx® Barbeques are available at Design Warehouse. 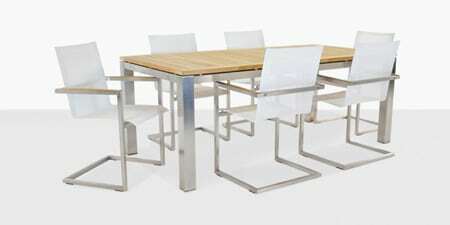 Design Warehouse offers a large selection of US made stainless steel BBQs and outdoor heaters. all at wholesale prices. You can enhance your outdoor living space with Lynx® barbeques and heaters. 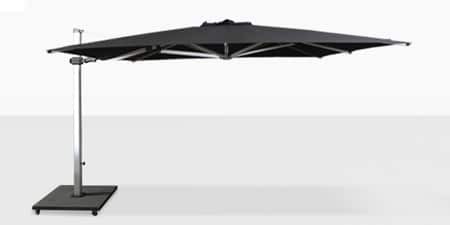 Design Warehouse now carries a collection of polycarbonate and polypropylene pieces – all with UV inhibitors, perfect for the outdoor environment. Our styles are always in stock and fully assembled. We frequently refer to this collection of polycarbonate and polypropylene pieces as our “cafe style pieces”. 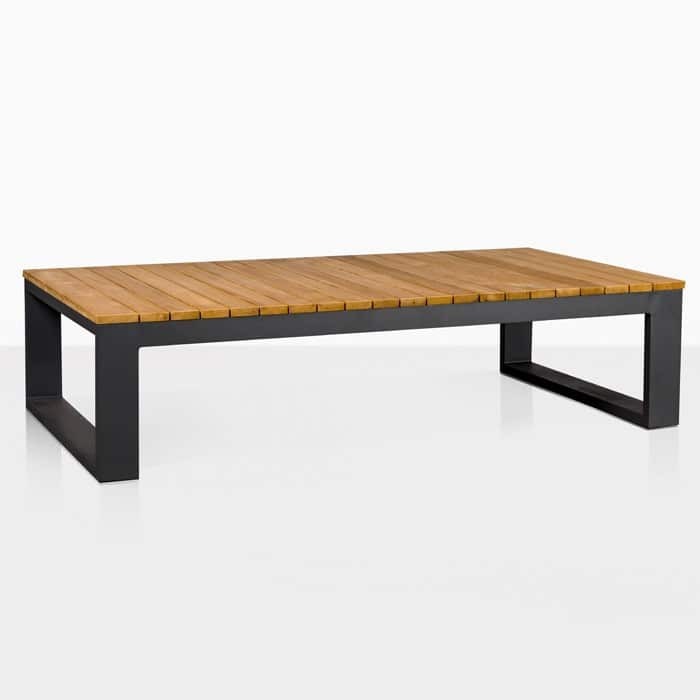 Additionally, Commercial buyers and those looking for commercial outdoor furniture can rest assured they are working with the finest sales and service team and most trusted manufacturer of commercial outdoor furniture in New Zealand. We offer value added benefits specifically mated to commercial buyers, developers and restaurants, hotels and resorts; golf courses, and public entities. You can have a look at our prestigious client list and see that we are the perfect partner for your commercial project. 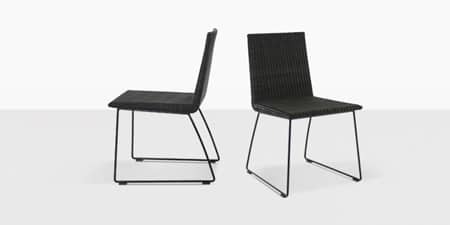 You can click for more on why we are the top seller of commercial outdoor furniture in New Zealand and learn about our special offerings, including fully assembled and quality checked and finished furniture; an In-Stock Now Guarantee and Wholesale pricing. 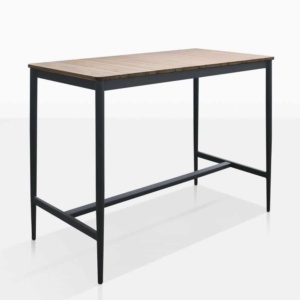 New Zealand Residential and Individual Buyers also get the benefit of working directly with the manufacturer, where we offer spectacular pricing, fully assembled and delivered outdoor furniture and an In-Stock Now guarantee. Teak Benches, Patio Umbrellas, Garden Furniture and Outdoor Dining Tables and Outdoor Dining Suites are just a few of the many types of quality furniture we offer. You can find all of our outdoor furniture, perfect for your outdoor space, or anywhere you want to put it, in our showroom. We invite you to browse our website for ideas and give us a call with questions or when you’ve decided on the perfect piece of outdoor furniture. Read our Blog to learn about our featured product of the week.